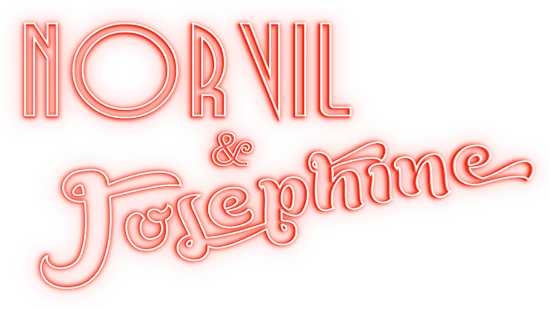 Book Victorian magicians "Norvil & Josephine"! Norvil & Josephine have been dazzling audiences in the UK and internationally since 2006 with their unique brand of Victorian "Music Hall" entertainment. Victorian Music Hall is the name given to a class of variety entertainment highly popular throughout the UK from the 1850's. Delights in the music halls included acrobats, jugglers, traveling minstrels and of course, Victorian magicians. See the video on their Victorian magicians home page. The entertaining and unforgettable Victorian style magician double act Norvil & Josephine performs throughout London, the UK and internationally at all sorts of public and private events. You don't need a stage, as the act is just as effective when presented on a dance floor or similar clear performance area. THIS VICTORIAN MAGICIAN ACT WILL IMPRESS! This act is unlike any other because, apart from incredible magic that’s reminiscent of Victorian magicians, they also blend their magic with entertaining demonstrations of acrobatics and singing. It’s an energetic and surprising show that will leave audiences wondering what’s going to happen next. Their entertaining and award winning Victorian style magician act has received acclaim from critics and audiences alike and is perfect if you're looking for a magician show to dazzle at your event. They take pride in their flexibility to draw from their repertoire to custom craft you a routine that will shine in your venue, and work around how much space you have or technical facilities that are to hand. Click on our Victorian magicians page for the video, photos and lots more info on how Norvil & Josephine could appear at your event to present something special that your audience and guests will talk about for years to come.